We'll meet your coupon processing needs. The coupon redemption team at Pet Food Experts goal is to help you process your product coupons, dollars off and frequent buyer cards as quickly and as accurately as possible in order to get those funds back into your cash flow. We work closely with over 40 vendors on your behalf and must strictly adhere to all vendor guidelines for quick processing. Please download the Brand Criteria Guidelines that lists all the requirements needed by brand for credits to be executed quickly and efficiently through Pet Food Experts. To ensure proper credit is given, when sending in your coupons clearly mark each envelope/box with your account number and account name. We accept frequent buyer cards, and retailer's POS data. Coupons with incomplete data cannot be processed. All credits are issued in the order in which they are received. Cut coupon redemption turn around time in half! 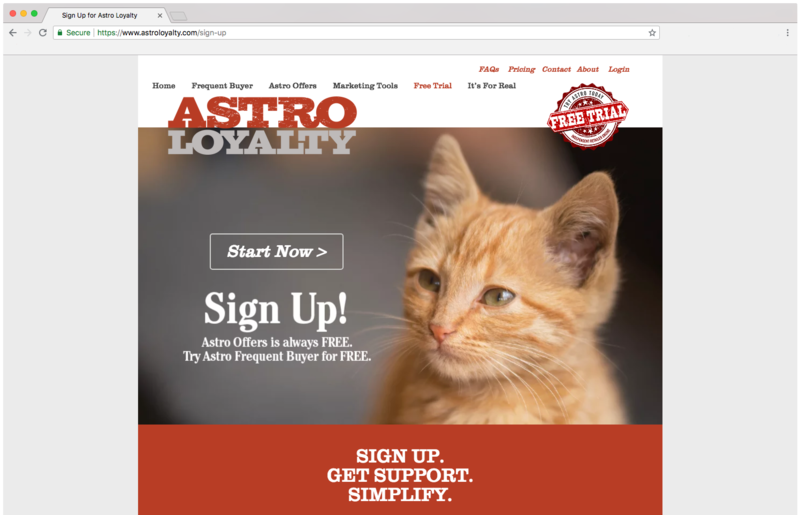 Astro Loyalty transforms punch cards, paper forms, and files into a digital point-of-sale system that can be accessed by a web browser or the Astro app. It's fast, cost-efficient, and accurate, which will help streamline the frequent buyer process, increase sales, get your money back sooner, and improve your business!